Swords and Crossbones: An Epic Pirate Story is a comedic role play adventure. 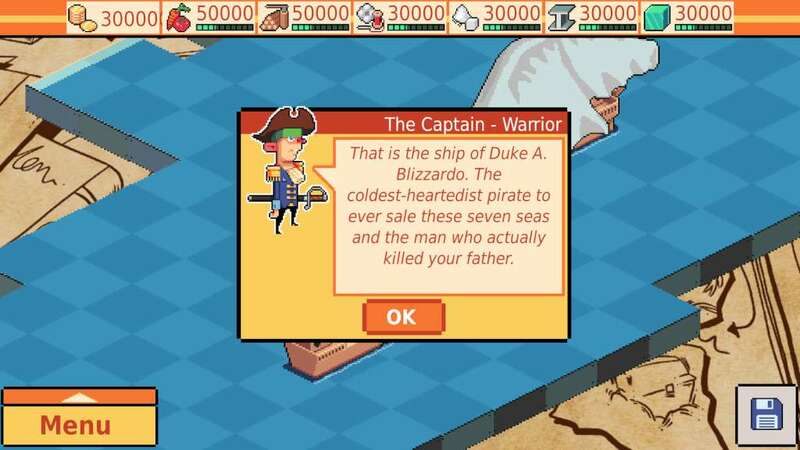 Duke A. Blizzardo the most feared pirate in all the seas has kidnapped your friend and employer. Hook up with a zany crew of swindlers, cut throats, and hooligans in this whirlwind adventure involving ancient treasure, pirate lords, tourism, killer parrots, and mad mad monkeys. Explore the islands of the Antipodal Archipelago. Sail the three oceans, including the volcanic waters and the frozen seas. Find ancient shipwrecks, battle for lost treasure, build and upgrade your pirate ships to accommodate your ever increasing crew! 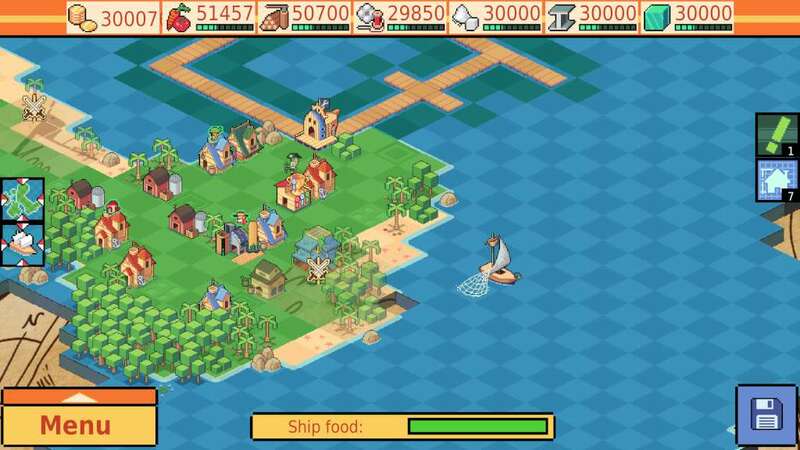 Organize and develop your own pirate island. An entire build mode lets you manage the exact layout and functionality of your hideaway as you use it as your base of operations for your escapades. Customize the load-out of each and every battle ready member of your pirate entourage. You'll need every sword, every buckler, and every ability you can spend your points on for the dangerous flintlock and cutlass filled battles that await you! Tactical combat! 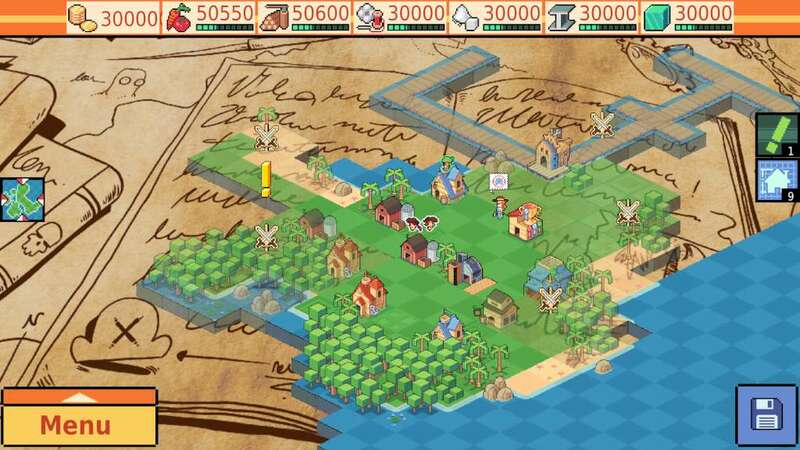 A well crafted turn based tactical RPG full of nuance and depth! Upkeep your pirate island! Build and expand, even turn it into a tourist attraction to rake in the dough! Sail the ocean! 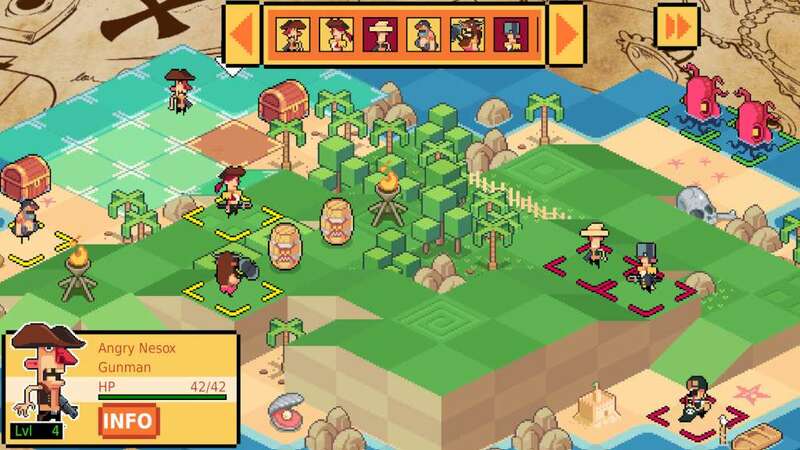 With over a dozen islands to explore, there's a lot to see, and to fight, there's monsters, treasures, and more! The Antipodal Archipelago! The island chain you'll pirate in is a strange place, the frozen waters to the north and the volcanic seas to the south have their own mysteries to be discovered! Daring battles! 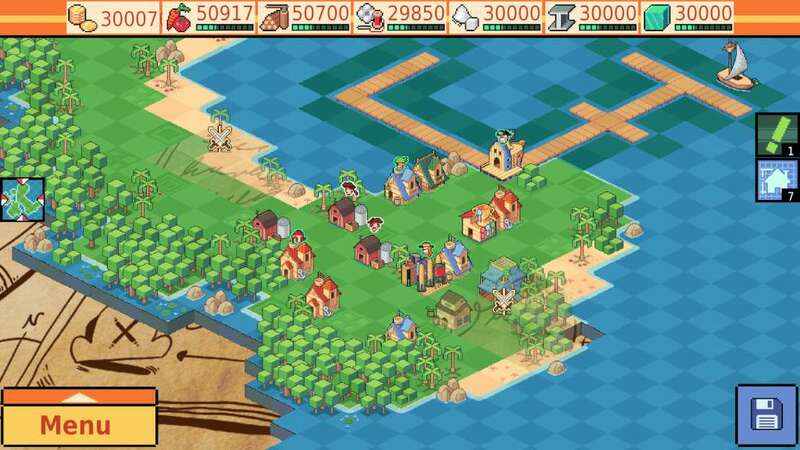 Defeat the ten pirate lords of the archipelago and stop their terrible reigns of terror! A customizable crew! Gather up miscreants and scalawags, each with their own set of skills and abilities to help you on your quest! A grand adventure! Discover the lost treasure of the Cenote, go on daring rescue missions, and battle interesting enemies and fauna, such as zombies, parrots, monkeys, royal soldiers, and more!